Paradise Garden wasn’t always a “paradise.” In fact, the property once housed an abandoned building that the neighborhood children had to pass on their way to school. After a 14-year old girl was raped at the site, Mary Peery decided things had to change – for the sake of those school children. Mary’s determination, together with the support from others, was instrumental in making this Austin’s first community garden. 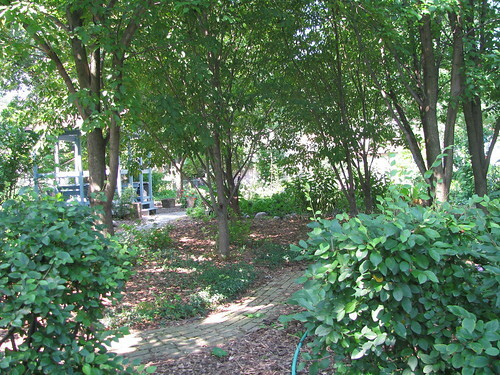 The Austin Green Team was formed as a result of this and they now maintain over a dozen gardens in the community. The Team consists of 15-20 members, some of whom meet religiously on a monthly basis. The team members originally came together because of their common interest in wanting to beautify the community. 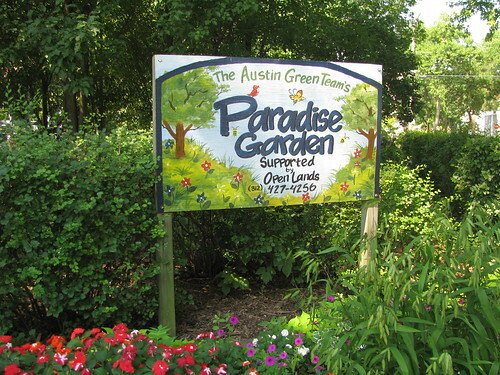 Due to the Team’s efforts, the neighbors living around these gardens in over a dozen different areas in Austin started to take note of their work and began doing a little more on their own properties. 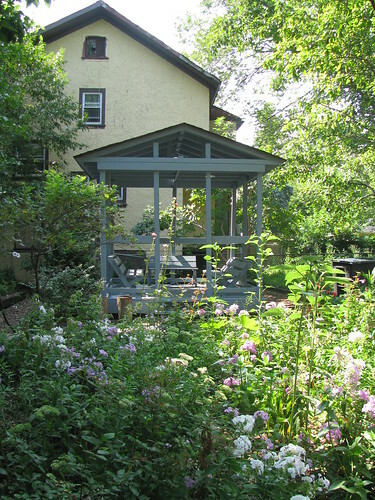 The Austin Green Team brought pride to their neighborhood and the money collected from their fundraisers goes right back into the gardens. Over the years, their gardens have provided beauty as well as a gathering place for Christmas caroling or a moment of contemplation. Best practice idea: The Little Green Team, a literal and metaphoric offshoot of the Austin Green Team theme, is Mary’s idea of a sustainability plan. There are 17 kids on the team who range in age between 4 and 14 years old – and the team is growing. The gardening knowledge, community spirit and commitment to one’s neighborhood are being handed down to the younger generation so that they will carry on what Mary and “her team” have started.